Exhibitions, launches, conventions, seminars and expos..
APRIL 18 - MAY 19 2019 Are you ready to celebrate Australian heritage for another year? Then we are excited to welcome you to the 2019 Australian Heritage Festival. This year's festival will bring toget ..
Western Australian Museum - Museums - Geraldton MID WEST GALLERY A winding road of discovery inspired by the Murchison River, this exhibition offers surprises and fascinating artefacts around ever .. 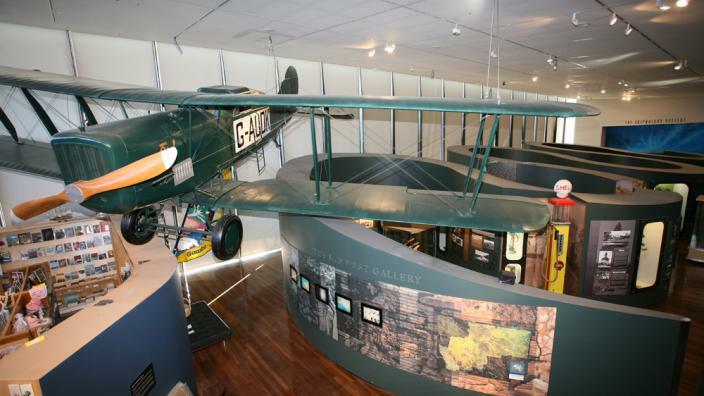 The Western Australian Museum - Geraldton celebrates the rich heritage of the land, sea and people of the Mid West region. Daily: 9.30am - 4.00pm Open ANZAC Day: 1.00pm - 4.00pm Closed: Christmas Day, Boxi ..
As a public park, Kings Park and Botanic Garden is free and open for visiting 24 hours a day, every day of the year. Whether you are planning a wedding, corporate function, sporting activity, school visit, ..
LONG TERM EXHIBITIONS Western Australian Museum - Museums - Albany DISCOVERY CENTRE Throughout the year the Discovery Centre hosts a range of interactive, engaging and hands-on programs that ar .. The museum overlooks picturesque Princess Royal Harbour, on the site of first European settlement in Western Australia. School Holiday Opening Hours During January, April, July and October Day	Opening ..
Western Australian Museum - Shipwreck Galleries Opening Hours Day	Opening hours Monday	9.30am - 5.00pm Tuesday	9.30am - 5.00pm Wednesday	9.30am - 5.00pm Thursday	9.30am - 5.00pm Friday	9.30am - 5.00pm ..